What do you guys think about a tempest/provoke/immolation beatdown, with divine bond as a finisher? This deck needs three things: 2 drops, Elyx, and Vow. ok, here is the real thing. ok, so how about this. it is a list of cards that could work in a celerity beat down deck (i like that phrase). if they run and you can’t reach them, then magnetize can save the day. the three-ofs are must haves, the two-ofs are very likely to go in, and the one-ofs are possiblities. if there are any suitable cards that you would like to recommend, please make a suggestion. i would love to see what you guys come up with for this deck idea. the only actually good Lyonar/neutral minion with celerity is Azurite Lion. Everything else is prohibitively expensive and/or cripplingly understatted. Magnetize can’t target generals, so won’t help too much in closing out games by itself. Runs a Zeal package as a backup plan. More focused on the combo, with spell protection and healing. These certainly aren’t strong decks by any means, but they might be good enough to win some games in lower ranks. If you can somehow play a Deceptibot out of reach and last a turn without it (or you) dying, keyword spell + Magnetize to kill something does assemble a pretty threatening board. Recently hit S with this beast. Won’t say it’s top tier, but it’s solid and probably the highest IQ deck I’ve ever piloted. 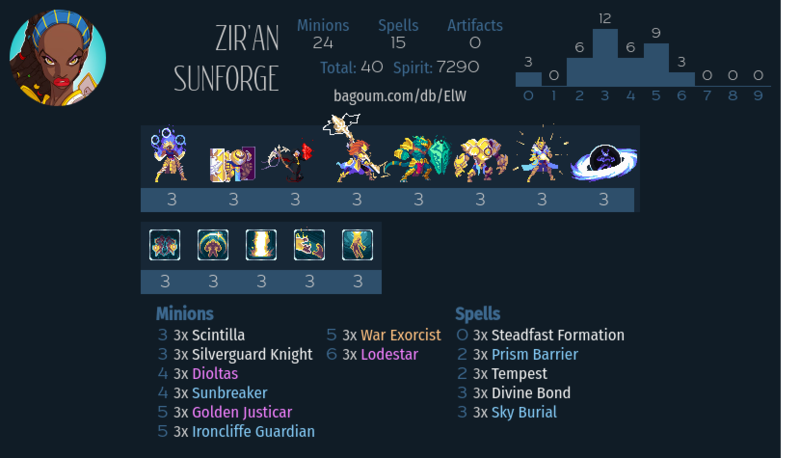 how does this deck look for a semi budget lynoar? Divine Bond/Liturgy for Mass damage. I see no tiger, my man. 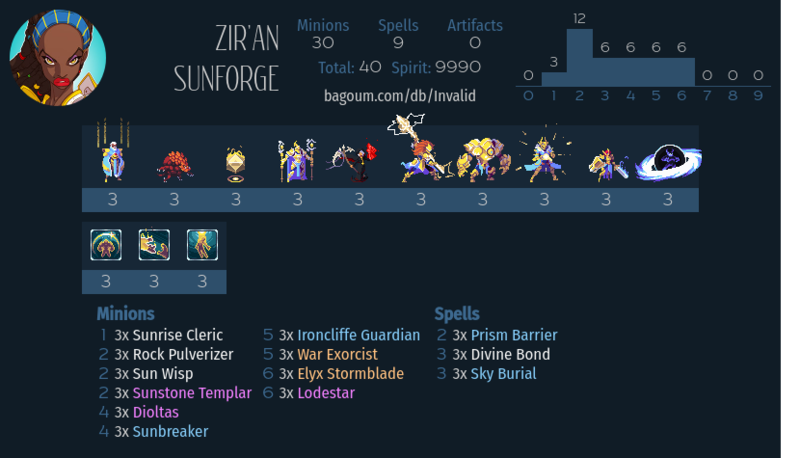 The general idea should work; ran a similar deck with ziran two months ago. Consider throwing draining wave and tempest if you have them. Nice stuff. 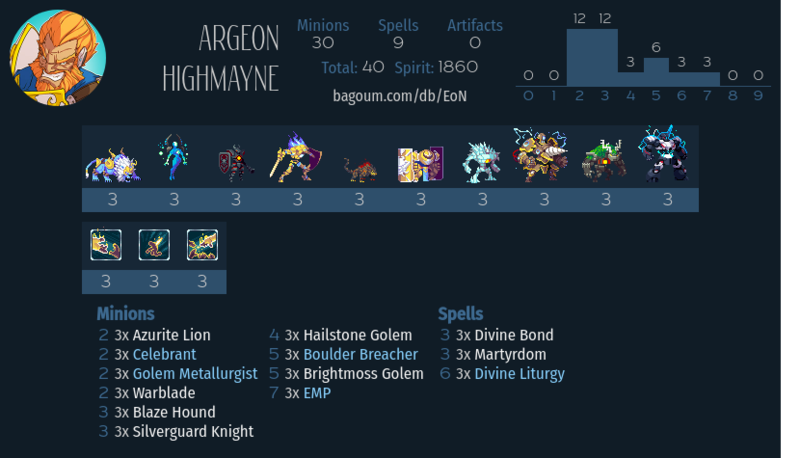 Just another generic Lyonar list, but instead of Kron it’s Giago. Decks till 2k spirit are considered budget.